The humble MP3 player is a decade old. 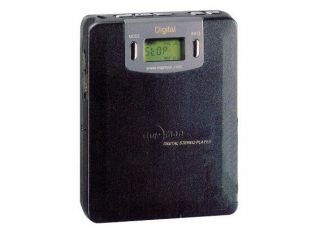 Next time you’re listening to your iPod or SanDisk Sansa or Creative Zen Stone, remember where it all started. And that was with a player called the MPMan F10 that boasted 32MB of flash memory (barely enough for a single album) and connected to your PC by the means of a parallel port! Ah, those were the days. You see, USB hadn’t yet properly established itself in 1998, despite already being included on PCs. The next couple of years led to some heady days for MP3 players, culminating in the launch of the mighty iPod in 2001. The F10 was made by Korean firm Saehan Information Systems and was launched after making its debut at CeBIT. It was in production that summer. The Register, which features a lengthy retrospective on the F10, says that it sold for $250 (£125) in the US, which dropped to $200 (£100) when the Rio PMP3 launched in 1999 and was subsequently sued by the RIAA. Remember Rio?